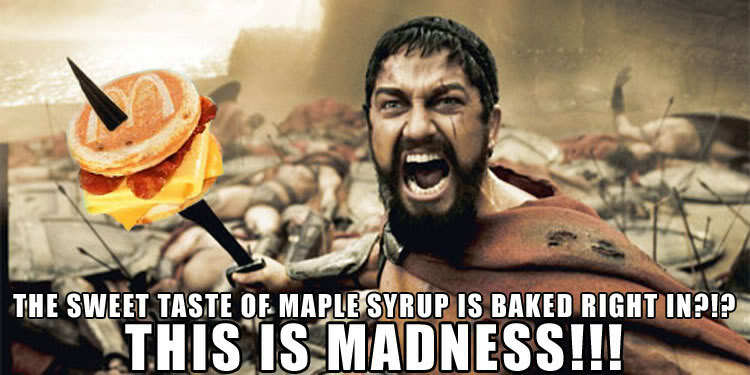 According to the 1996 Golden Arches Theory of Conflict Prevention by New York Times columnist Thomas Friedman, when a country gets a McDonald's fast-food restaurant, it will not go to war with another country that also has a McDonald's. Think about it... the U.S. fought Germany in WWI and WWII. No McDonald's Happy Meals were eaten by the Führer. Germany got a McDonald's in 1971... and no wars have been fought with Germany since. The U.S. fought Japan in WWII. No McDonald's were in Hiroshima. Japan got a McDonald's in 1971... no more wars. The U.S. sides with South Korea, who got a McDonald's in 2003, but dislikes North Korea, who doesn't have a McDonald's. McDonald's opened in 1990 in the Communist Soviet Union. The next year... the country fell, ending the Cold War. The argument for this theory states that when a country reaches a certain level of economic development, and when it has a middle class big enough to support fast-food, it can open a McDonald's franchise... and people in McD’s countries don't fight wars with other McD's countries (because they share economic ideas/goals). 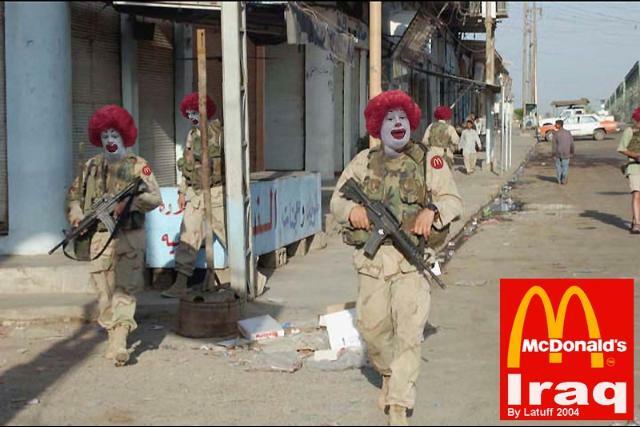 Still, the McDonald's "Peace Theory" has failed to prevent war twice. 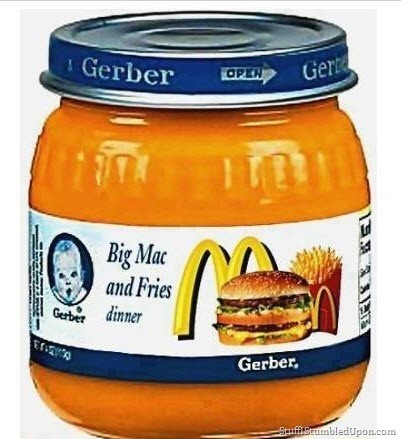 In 2006, Israel (McD's in 1993) went to war with Lebanon (McD’' in 1998). In 2008, Russia (McD's in 1990) invaded Georgia (McD's in 1999). As you can see, as the definition is narrowed down, there are fewer "democracies" (and wars) to work with. In 1940, Richard & Maurice McDonald opened McDonald's in CA. 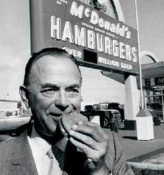 Ray Kroc bought McDonald's in 1954 and franchised it in 1955 in IL. He kept the name "McDonald's"... probably because nobody wants to supersize their Kroc Burger. 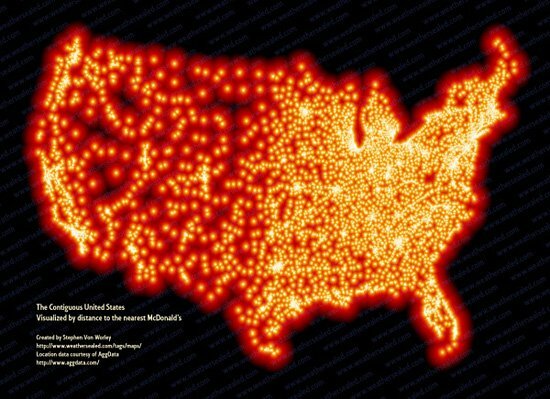 McDonald's daily customer traffic (62 million) is more than the population of Great Britain. 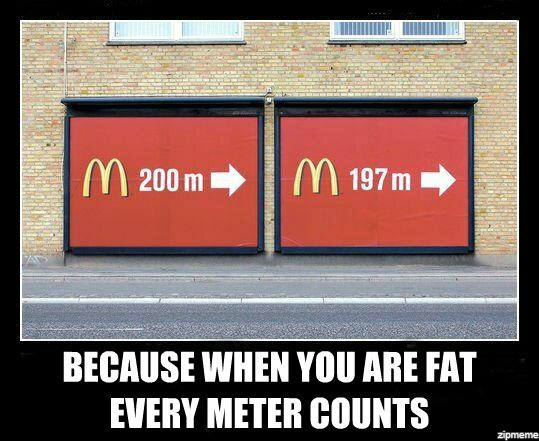 McDonald's sells more than 75 hamburgers every second. McDonald's $27 billion in revenue makes it the world's 90th largest economy. Nearly 1 in 8 U.S. workers were once employed by McDonald's. 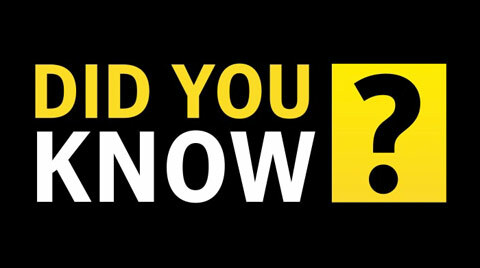 McDonald's has 761,000 employees worldwide, which is more than the population of Luxembourg. A new McDonald's opens every 3 hours. Every sesame seed on every McDonald's bun comes from Mexico. 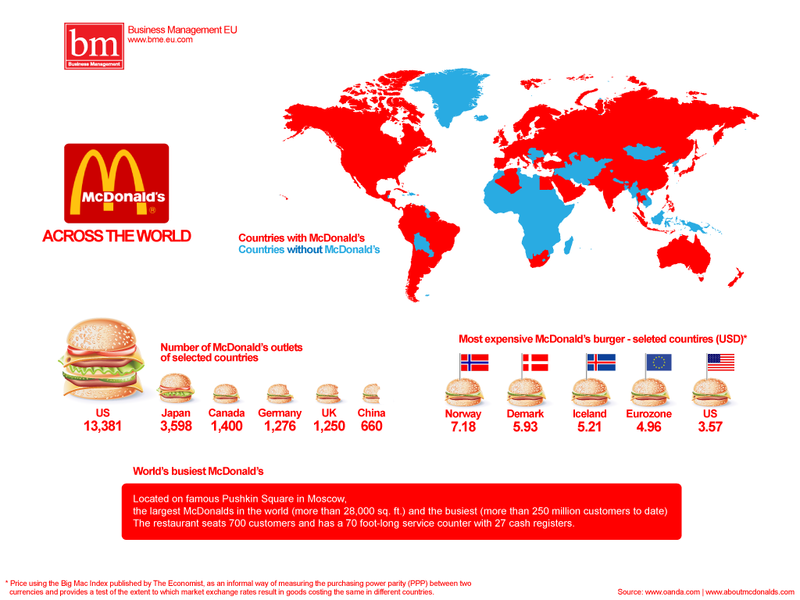 31,000 McDonald's are in 119 countries. Americans consume 1 billion pounds of beef at McDonald's a year – That works out to be 5.5 million cow heads. Move over Santa! McDonald's is the world's largest distributor of toys, with one included in 20% of all sales. Big Macs in India are made of mutton (sheep) due to laws against beef. 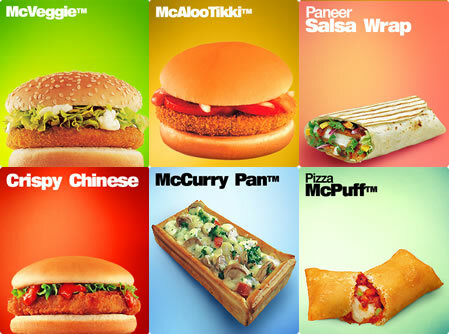 From 2011 to 2013, McDonald's opened one restaurant every day in China. McDonald's in Saudi Arabia close 5 times a day for prayer. Christian cross, which means we're all going to Hell. Oh well, we were probably going there already, so we might as well go with a full stomach! 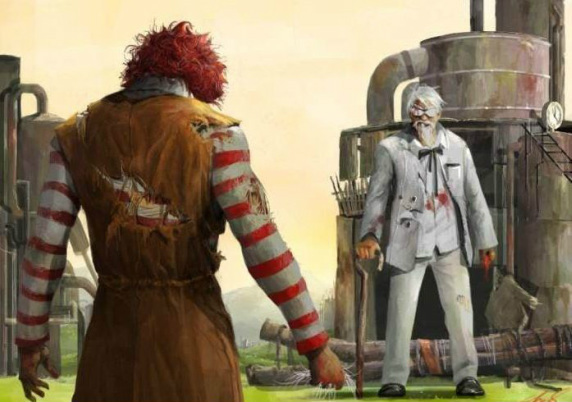 Dr. Hartnell hates to see his two favorite fast-food restaurants fight… even if it is delicious.